"Everyone was so pleasant to deal with from the free consultation to the after care." "Basically I would and do recommend Beverly Oaks surgical to all of my friends and family"
"Anyone that needs to have surgery and improve their lifestyle need to come here." "Words can't describe how amazing my experience was at Beverly Oaks surgery." 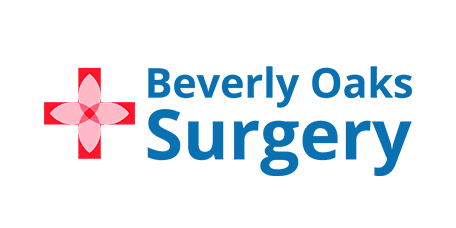 Beverly Oaks Surgery is a full-service outpatient surgical facility located in the heart of the Sherman Oaks Medical Community, directly across from Sherman Oaks Hospital. We are proud to be affiliated with some of the top surgeons in the Los Angeles area. We specialize in today’s cutting-edge, minimally invasive procedures with lower costs and less downtime, which means that you can achieve results conveniently and affordably. Our facility is fully equipped for just about any type of surgical procedure that our patients are in need of. Our surgeons are committed to providing personalized, top-quality diagnosis and treatment to patients suffering from sports injuries, orthopedic issues, spine disorders and many other medical conditions. We also offer a variety of cosmetic services, from bariatric surgery to facial injectables. At Beverly Oaks Surgery, we understand that everyone that comes through our door is an individual with unique needs and concerns. You will not find a “one-size-fits-all” approach that is so common amongst many facilities today. Call us today to schedule your FREE consultation, tour our facility, and let our experienced surgeons and staff customize a plan that is right for you. During your consultation, you will meet with one of our experienced surgeons who will take the time to get to know you, explain options, and answer all of your questions, free of charge. We also have patient counselors to assist with insurance, scheduling, financing or anything else you might need. It is our goal to ensure excellence and continuity of care from your first consultation to your last post-operative visit. Whether you have a specific procedure in mind or just wish to explore your possibilities, we are here for you every step of the way. Give us a call and let us find the solution that’s right for you! Beverly Oaks Surgery is a fully accredited facility by The Joint Commission with the highest level of safety and patient care. We specialize in today’s cutting-edge, minimally invasive procedures with lower costs and less downtime. Our board certified surgeons are highly experienced and trained in weight loss bariatric surgeries, cosmetic services, and many other surgical procedures. We work with our patients to obtain the most affordable insurance coverage possible. We also provide financial assistance for the uninsured and under-insured. "Thank you to Dr. Elias and his wonderful team for taking such good care of me and changing my life!! I feel so confident and beautiful!!!" "From the moment you call for the first time and make the appointment you can tell they are different from the rest." "We were pleasantly accommodated! Beginning to end glad we were able to deal with your professional medical group."